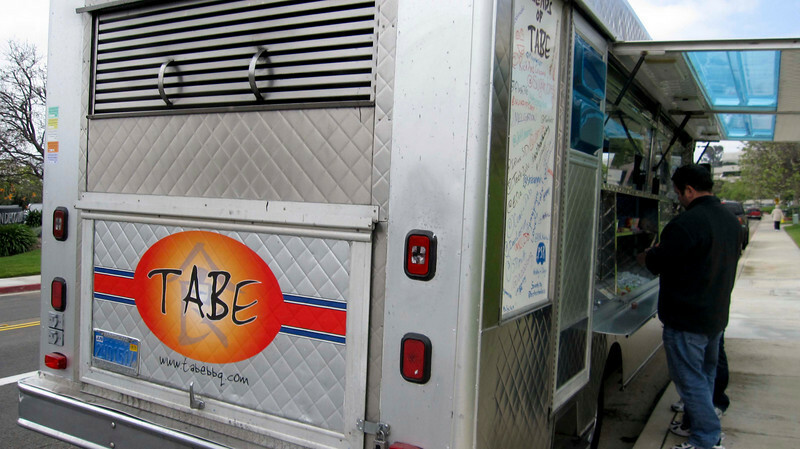 Charles ordering from Tabe, a gourmet, Asian Taco truck. They twittered they would be by work, so we went to try them out. Yummmmy.